A burning waits and charged with expectations: this is for me how it feels to work with a Polaroid Giant Camera. “Wait” it’s a term that speaking about a Polaroid can sound out of tune, from the moment you shoot to the development of a film, not more than a minute and half goes by. Nevertheless that moment is endless, for my concern it’s a unit to measure eternity – and the emotional intensity of a human being. 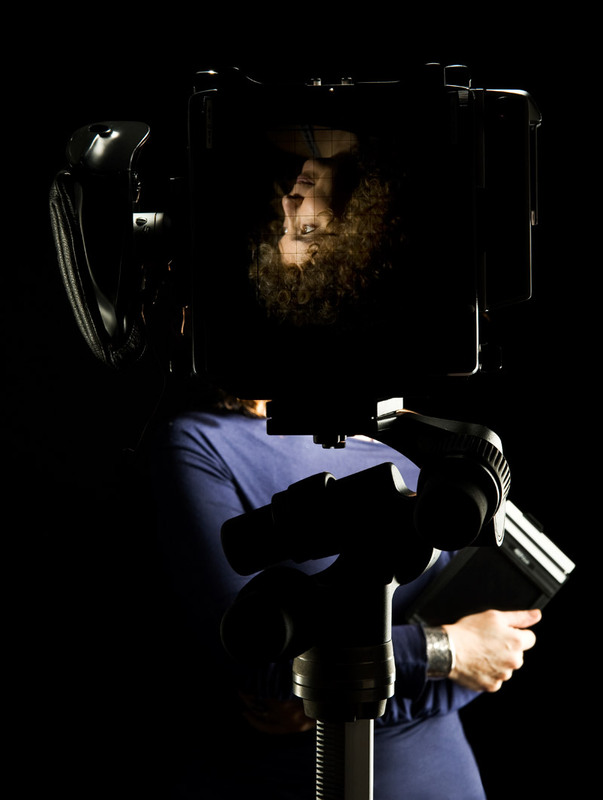 The Giant Camera is an imposing lady of other times, 100 kilograms of wood and brass. She is, also, a demanding lady. Like every true first lady, she expects an accurate setting, she doesn’t grant replicas. The first one is final. Second thoughts are not admitted. To take a photo with her means to impress on a rather expensive film. A pounding heart, short breath, attention and maximum emotion … and the timer finally rings. It’s time to remove the sealed film off the impressed sheet. And there are at least two of us to be “impressed”, indeed, in three, because with me and the lady there is also the person who I have photographed, and only in that moment we’ll know if all has gone for the best, if the machine has been able to capture its “spirit”.